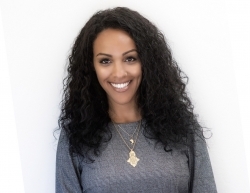 Oakland, CA, September 08, 2018 --(PR.com)-- Aida Mariam is an exceptional results-driven leader. Her breadth and depth of experience spans public affairs, community organizing, campaign management, design thinking and community development. - Designed and built the inaugural Parent Innovation Institute. A first of its kind Institute for parents and staff focused on leadership development, lean experimentation, and program and service delivery improvement. - Built and led a community revitalization in East Oakland that increase voter registration by 45%, managed a budget of $10 million and served 14,000 young people through arts and workforce development. - Built a coalition that has inspired the California Assembly Select Committee on the Status of Boys and Men of Color to prioritize closing the achievement and opportunity gaps for the most vulnerable children. - Co-designed the strategy and organized the first living wage ordinance of $15/hr in America in the City of SeaTac, WA. - Negotiated labor contracts that have resulted in at least 16% wage increases, lay-off provisions, and healthcare coverage for service workers. While these results are impressive, Aida is not satisfied. She is impatient with the gradual pace of progress, and has turned her impatience into strength. She knows how to express her sense of urgency in a way that inspires people to do more, instead of being turned off. She has the right combination of vision, respect for community, and the capacity to think and execute with discipline -- not to mention, she is a servant leader. Aida is passionate about creating a just, fair and inclusive society in which all are participating, prospering and reaching their full potential. She understands the critical need for America to make substantial progress toward solving the adaptive challenges of our time including education, employment, economic security, and housing and leading multi-sector networks to make progress on these issues. Aida completed her undergraduate degree in Political Science at the University of California, Berkeley, where she graduated with honors. Aida also holds her Master's Degree in Public Policy from Sol Price School of Public Policy at the University Southern California. Yardstick Management is a leading global strategic management consulting firm operating in twenty eight states and six countries providing specialized services to mission-driven organizations. Yardstick Learning is a certified Minority Business Enterprise (MBE), a Goldman Sachs 10,000 Small Businesses Alumnus, and a Clinton Global Initiative partner organization. Yardstick’s expertise includes Education, Corporate Social Responsibility, Arts and Faith-Based initiatives.